Ctrl-Alt-Del is the second offering from New York City three-piece The Diggs. 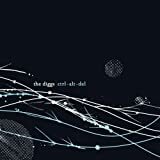 It expands on the aesthetic laid forth by their well received 2005 debut Commute while refining their trademark big sound with leaner and more concise arrangements. The tone of the record is frantic and at times haunting. However, there is a glimmer of hope embedded throughout, where disillusion is broached with nostalgia, and angst is juxtaposed with optimism. If this isn't Digg Bait. . .I don't know what is. . .